Wow, I can’t believe it’s been almost a year since I have posted. As you can tell, things have been pretty busy over here! 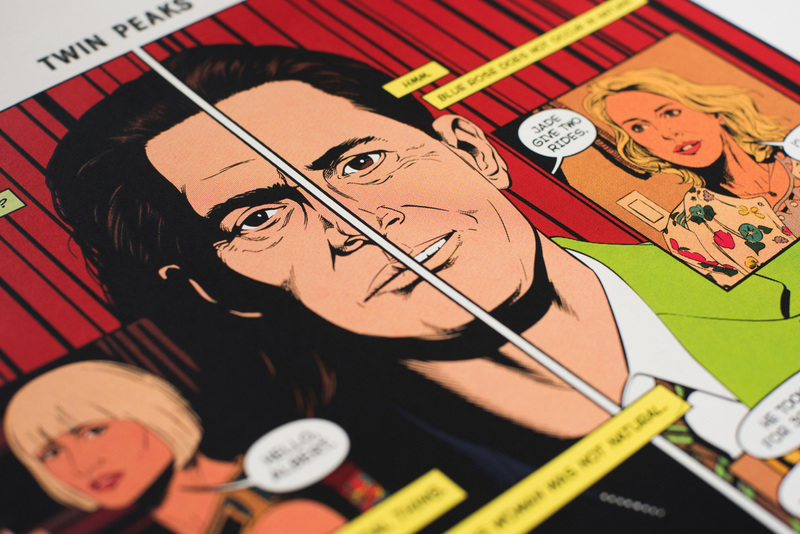 But I had to write up a post, over a month after it’s release, of the latest in my Twin Peaks series of graphic novel/comic book prints. New York Comic Con has come and passed, but you can still grab one of these over at the Spoke Art website. This one dives right into the strange, but wonderful, 3rd season of Twin Peaks. I don’t know about you guys, but my brain was completely fried watching every episode of this season, and I absolutely loved it. The print itself deals with the different dualities in the show, specifically the idea of “Tulpas”. 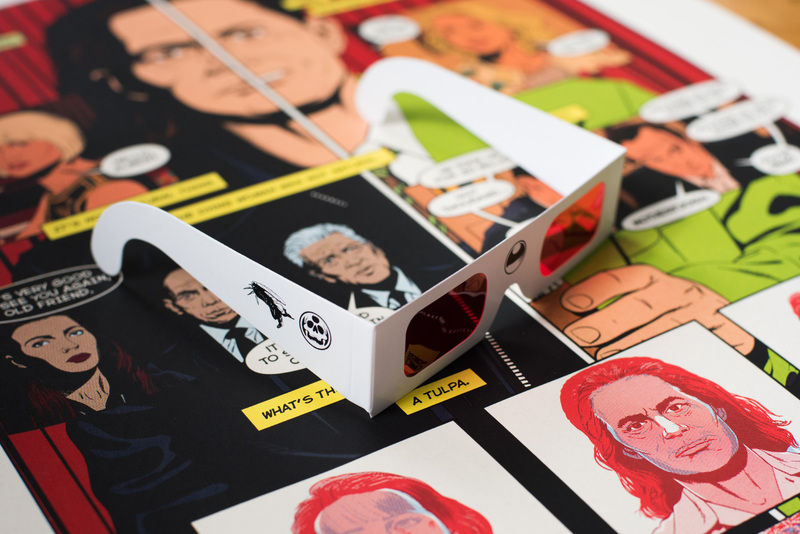 As usual, each print comes with it’s own secret decoder glasses for the red mystery reveal. 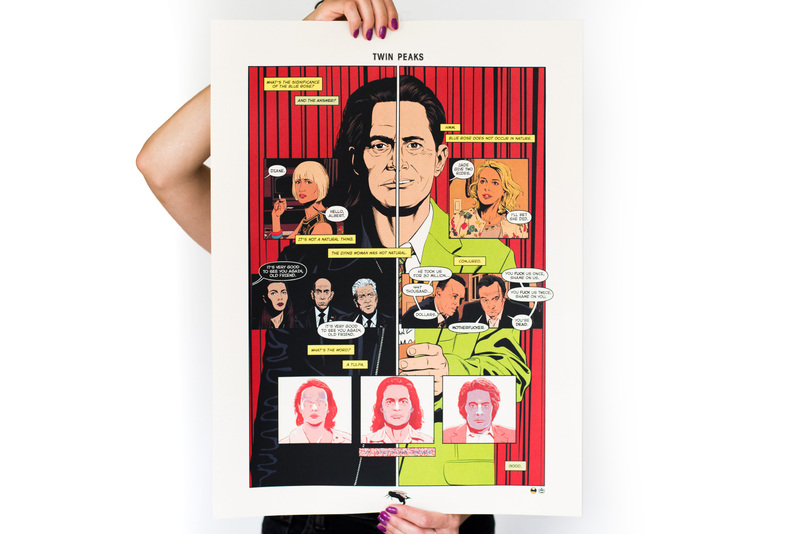 Now, since there aren’t anymore seasons left, this might be the very last of the graphic novel type Twin Peaks prints, but I do have one more idea up my sleeve to kind of encompass the whole show and these prints. It might act as a cover, or it might be something completely different…you’ll have to wait and see…but hopefully you wont have to wait 25 years for it. There are a few more exciting things coming before the end of the year, and I promise I’ll update the site when I can say more about them! But if you want to keep up with me on a more current basis, following me on Instagram is always your safest bet!